Successfully Added PET803 Dog Training Collar + Electronic Fence System - Waterproof, 2500 Square Meter Range to your Shopping Cart. Does Lassie keep running away? Does Rover fail to listen? Does Scooby keep searching for a Scooby snack? Well, strap this lead around your pooch and mark a territory for them to roam with and if they get too close to the set boundary they will be reminded to back away via a gentle shock. This patented design pet fence system will make sure your dog stays safely in the yard. Also there is an audible and visual wire break and short indication should the wire break as a loud sonic alarm will sound accompanied by a flashing light. 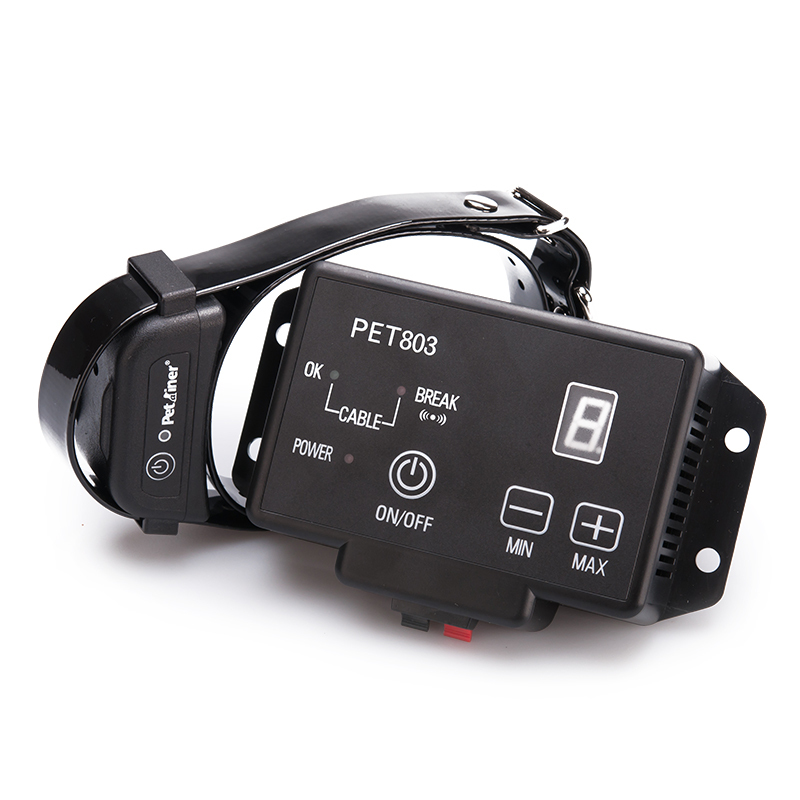 It is fully waterproof and rechargeable receiver collar. - Pulsed Proportional Stimulus - The closer your pet gets to the boundary, the more intense the shock. - Progressive Tone Stimulus - A warning tone will be issued first, then a shock stimulus if your dog continues to move closer to the boundary. - Power Boost Switch - Allows the width of the warning to be adjusted. - Speed Detect Anti-Run Through - The faster your dog is moving, the quicker the higher level of intensity is issued. - Audible Wire Break Alarm - The system's control center has an audible alarm to alert you if it senses a break in the wire or if the boundary system is not functioning correctly. - Visual Wire Break Alarm - The system's control center will light also up if it senses a break in the wire. - Quick Disconnect Terminals - Quick and secure connection or disconnection of the wire to the control center. - Low Battery Indicator - When the light on the collar is green, it is working properly. A red light means it is time to replace the battery. This product is in stock now, we guarantee next working day shipping and offer a 12 months warranty on all our products. 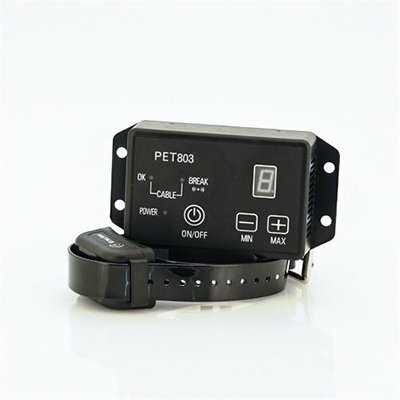 Brought to you by the leader in electronic pet devices and wholesale gadgets, Chinavasion.